Happy Tuesday! I hope everyone is keeping warm and hunkering down with some hot coco and a good book. There is some serious weather happening all over. Stay safe and warm! Check this out! I broke down and added a tab to the top of the blog that tells a little about the books and what order some of them might be read. Click here to view the Order of the Books. Book news: SUGAR KISSES has been sent to my editor and betas!!! Jumps up and down. That means tomorrow I get to finally start piecing together CELESTRA FOREVER AFTER!!! Can you tell I’m excited? That means Skyla gets to finally do the deed with you know who—and you know who is demanding I wake up extra early to make this happen! Lol! Oh, wow, I’m going to have fun. I hope you will, too. CFA is going to have a few curveball plot twists and a serious steam factor. Be warned. Skyla goes there. SOMEONE LIKE YOU releases in just 3 weeks!!! It’s the second book in the SOMEONE TO LOVE series, featuring Ally and Morgan (Kendall’s best friend and big bro). In honor of the event I’ll be hosting a giveaway closer to the release. So look for that because I’ll have several signed copies of the books and I might even throw in some Celestra swag as well. Roxy scoots in and my entire damn body starts to shake. I can’t take much more of this—her little black dress, that dark triangle between her legs that’s been playing peek-a-boo with me for the better part of an hour—her achingly soft lips that I’m dying to cover with mine, so I go for it. I offer a gentle pass through and pull back because I’m pretty sure slow doesn’t dictate jamming my tongue down her throat the way I want to, but right about now I’d die for a taste—any part of her will do but damn it all to hell if I’m not eyeing that triangle again. 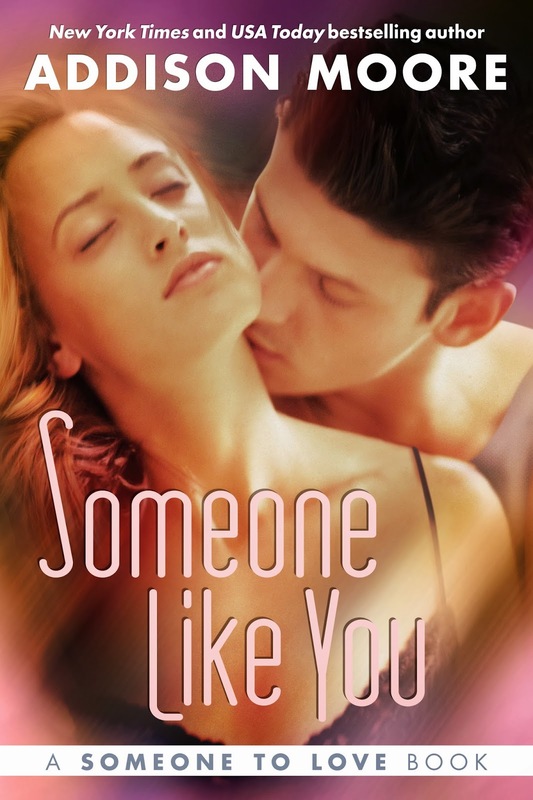 SOMEONE LIKE YOU (Someone to Love Series #2) Available for pre-order! He plucks a metallic square from his back pocket and waves it in the air. My ears pulsate with a heartbeat, and my body gyrates with slight panic. In theory, one-night stands were something my dorm sisters did, often and without regret—hell, I even cheered a few of them on. But as for me, and my girl parts, we’ve deferred to the traditional dating pool for all our penile endeavors. “Yes, I want to do this,” I hear myself say. It’s like I’m in a cage locked away in the farthest reaches of my mind. All of that champagne ushered any good sense I might have held onto and strapped it to the bedpost, much like I’m hoping he’ll do to the rest of me in less than five minutes. “The bedroom is this way.” I try not to slur as I lead him further into the tiny living room. My mother lights up like a lantern from the inside, her hair blowing back alive and electric. Hope you enjoy the week! Keep warm! Someone Like You teaser and news! The Tuesday Tease and book news!